KZN Health MEC Dr Sibongiseni Dhlomo has hailed staff at Forensic Pathology and Emergency Medical Services for their role in attending to the horrific taxi-related shooting incident which claimed the lives of 11 people at Uthukela District last week. The massacre occurred when unknown people ambushed a minibus taxi with 17 passengers, along the R74 road between Colenso and Weenen, spraying it with more than 220 bullets. 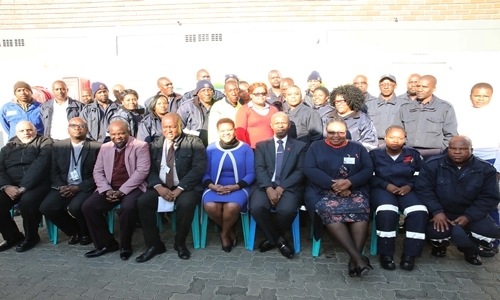 MEC Dhlomo described forensic pathology staff as a group of “selfless, compassionate and hardworking cadres,” while urging them not to forget the power of prayer to overcome some of the challenges that came with the job. "While I was in Amsterdam overseas on an HIV/AIDS conference, I learned of this tragic event. I realised that the people who had to attend to the scene would either be our Emergency Medical Services personnel, to come and save the lives of those whose been injured; or our Forensic Pathology Services staff members, who will be coming to collect bodies of those who’ve been brutal killed. I then felt it will be important for me, as soon as I came back, to come and thank our staff and reassure them of our continued support. 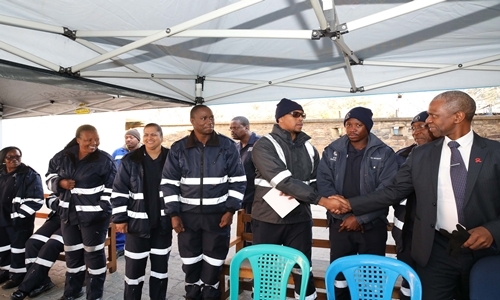 Although they see such scenes on a daily basis, for them to have to deal with so many bodies in one go, go so that their loved ones can bury them, is something that has been in my heart, ” MEC Dhlomo said. He also acknowledged the challenges these two components are faced with. 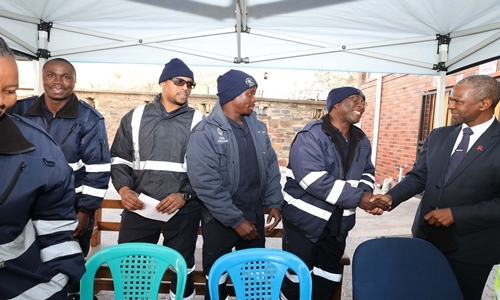 The staff expressed their gratitude at being visited by the MEC. Mr Siphamandla Sithole, representing the Forensic Pathology Services, said they are humbled to be visited by the MEC. "We are delighted to be visited by the MEC Dr Dhlomo. It shows that he is taking our job seriously," Sithole said. Dr Dhlomo proceeded to Durban, at eThekwini Community Church, where he was the main guest speaker as the chairman of the KZN Men's Forum. He implored the religious leaders and male congregants to be agents of change in society.